Mixing and thermic valves (LK Armatur). We don't sell the LK Armatur products to outside of Estonia! Mixing and thermic valves There are 66 products. Automatic loading unit DN 32-55°C ThermoMat 2.0 G, LK Armatur 810 for solid-fuel/storage tank installations, with check valve. We don't sell the LK Armatur products to outside of Estonia! Automatic loading unit for solid-fuel/storage tank installations, with check valve. We don't sell the LK Armatur products to outside of Estonia! Automatic loading unit for solid-fuel/storage tank installations, with check valve. DN 32-65 °C ThermoMat 2.0, LK 810. We don't sell the LK Armatur products to outside of Estonia! 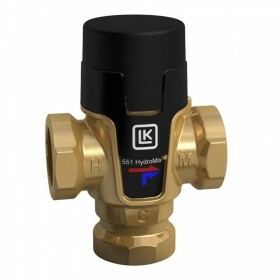 Mixing valve DN15 (1/2"), +25 °C - +45 °C, Kvs 1,5 brass, female thread, LK 551 HydroMix. We don't sell the LK Armatur products to outside of Estonia! 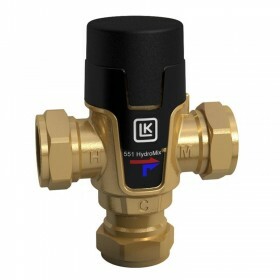 Mixing valve DN20 (3/4"), +25 - +45°C Kvs 1,6 brass, female thread, LK 551 HydroMix. We don't sell the LK Armatur products to outside of Estonia! Mixing valve DN20 (3/4"), +35 °C - +65 °C, Kvs 1,6 brass, female thread, LK 551 HydroMix. We don't sell the LK Armatur products to outside of Estonia! 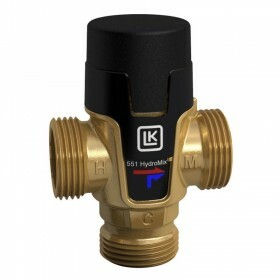 Mixing valve DN15 (1/2"), +35 °C - +65 °C, Kvs 1,3 brass, male thread, LK 551 HydroMix. We don't sell the LK Armatur products to outside of Estonia! Mixing valve DN25 (1"), +25 °C - +45 °C, Kvs 1,6 brass, male thread, LK 551 HydroMix. We don't sell the LK Armatur products to outside of Estonia! Mixing valve DN25 (1"), +35 °C - +65 °C, Kvs 1,6 brass, male thread, LK 551 HydroMix. We don't sell the LK Armatur products to outside of Estonia! 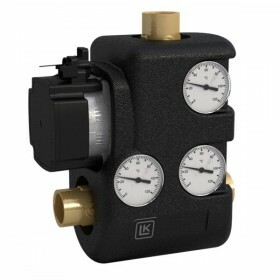 Mixing valve 22mm, +35 - +65°C Kvs 1,6 brass, LK 551 HydroMix. We don't sell the LK Armatur products to outside of Estonia!